Vega Sicilia’s owners, tthe Álvarez family, bought Bodegas Pintia in 1996, attracted to the galet-strewn terroir in the northern Spanish region of Toro, the rich clay subsoils and the familiar altitude. They decided to produce an alternative expression of Vega Sicilia’s style of Tinto Fino (Tempranillo) from this site. Toro’s main point of difference to Ribera del Duero is the ambient temperature, which can blaze in the height of summer. The challenge here is to match concentration with elegance, a challenge met by Bodegas Pintia with no shortage of aplomb. The sun baked vineyards of Toro provide no lac k of ripe and textured fruit – brooding blackberry and plum. The challenge here is to match the superb concentration with freshness and finesse – something that 2011 Pintia achieves with unerring ease. Full bodied and dense with notes of liquorice, scorched earth, and savoury smoky/nutty oak characters. The acidity and fine grained tannins add a sense of succulence and precision. A robust, impressive red with more than a hint of class. 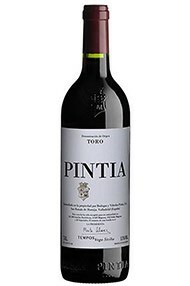 2010 Pintia is a big gutsy wine with a lovely rich textured palate. Dense savoury plum and nutty oak give an initial impression of a Rioja on steroids. There is a sweet strawberry edge but this is subsumed by the savoury dark fruit, gentle spice, finely grained earthy tannins, a viscous intensity. Stylish and satisfyingly with a burst of fruit in the finish emphasising its class. PIntia is wonderful in 2013. It was a lighter vintage in general but this has really brought out the elegance of this wine, so often swathed in structure and tannins. There is a gentle touch of ripe blueberry alongside the ripe raspberry on the nose, yet the core of the wine is rich and dark. 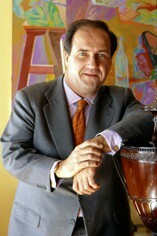 The tannins are still definitely in evidence; they have a tissue-like quality yet are also firm. They have been extremely well managed. A savoury, tasty mineral freshness comes through, leaving the palate wanting more. There is a gentleness to this Pintia which is extremely attractive with all the power still there, just held well in check. This is a truly lovely wine. Pintia: tamed. Drink now to 2025.